The FREESTAY campaign will be held to offer you the chance to enjoy a luxurious, cool and pleasant summer at Niseko. 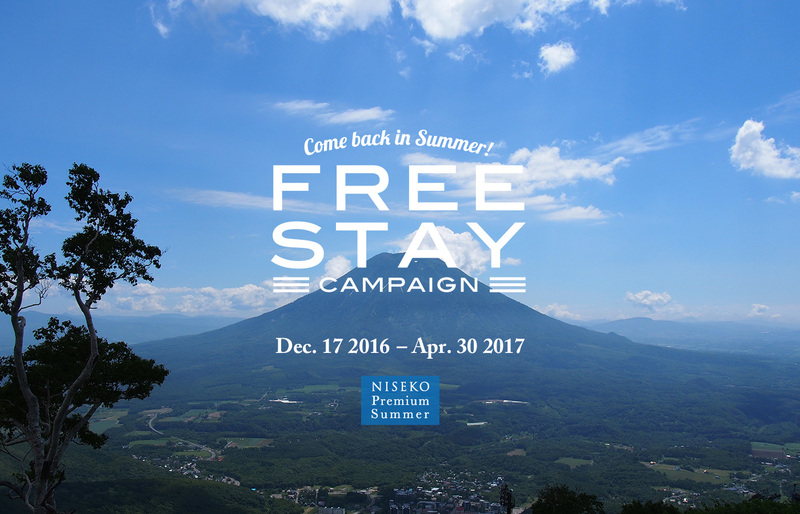 We hope everyone will take this opportunity to visit Niseko and enjoy all that it offers. while overlooking the Niseko mountain range. The hotel offers the best suite right in front of the ski slopes. that opened in December 2016.